TICKETS ON SALE FRIDAY, MARCH 9 AT 10am! GET LAWN TICKETS FOR JUST $19 FIRST WEEK OF SALES! Thrash Metal heavyweights Slayer, one of the Big 4 (Slayer, Metallica, Megadeth, and Anthrax) is calling it quits after thirty seven years with a monster tour that begins May 10 in San Diego, California and wraps up the North American leg of its final world tour August 26 in San Jose, California. Luckily for Saint Louis fans the band is making a stop here August 9 at the Hollywood Casino Amphitheatre. The Hottest tour of the year will be making the hottest month of the year here even hotter. 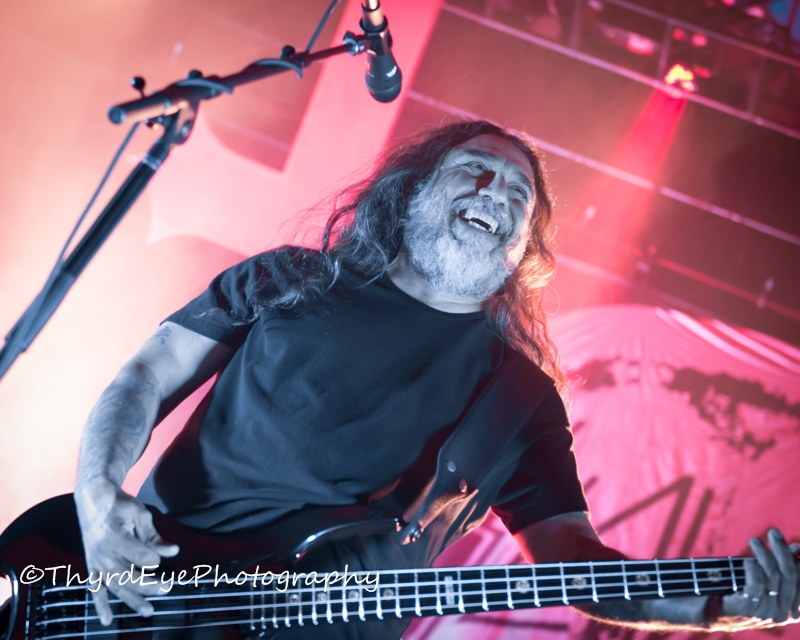 Tom Araya of Slayer performing in Saint Louis. Photo by Sean Derrick/Thyrd Eye Photography. With most of the dates on the first leg sold out almost immediately, and the rest of the dates appear to be headed to an imminent sell out, the demand was certainly there for additional dates. right after tickets went on sale. For their final tour the band wanted one more chance to say “thank you” to their fans, and what a way to do it. The lineup features some heavy hitters in the metal scene with Lamb of God, Co-Big 4 thrashers Anthrax, Testament, and Napalm Death will all accompany the band on all dates. It’s like a mini-Slayer fest. 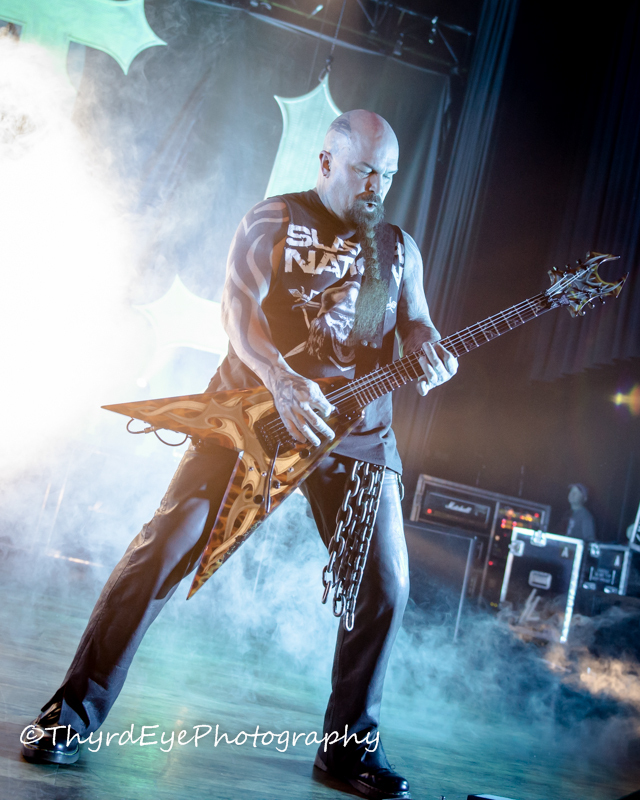 Kerry King of Slayer performing in Saint Louis. Photo by Sean Derrick/Thyrd Eye Photography. 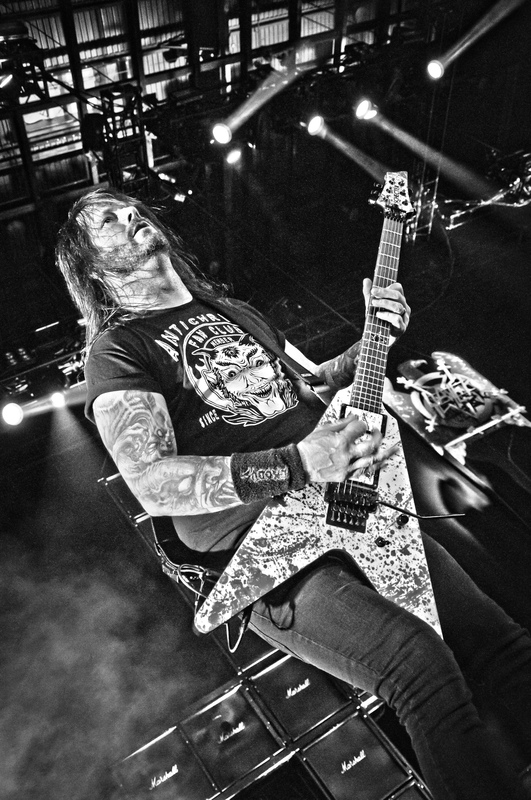 Gary Holt of Slayer performing in Saint Louis. Photo by Sean Derrick/Thyrd Eye Photography. The general ticket onsale for most dates begins this Friday, March 9 at 10AM (local). 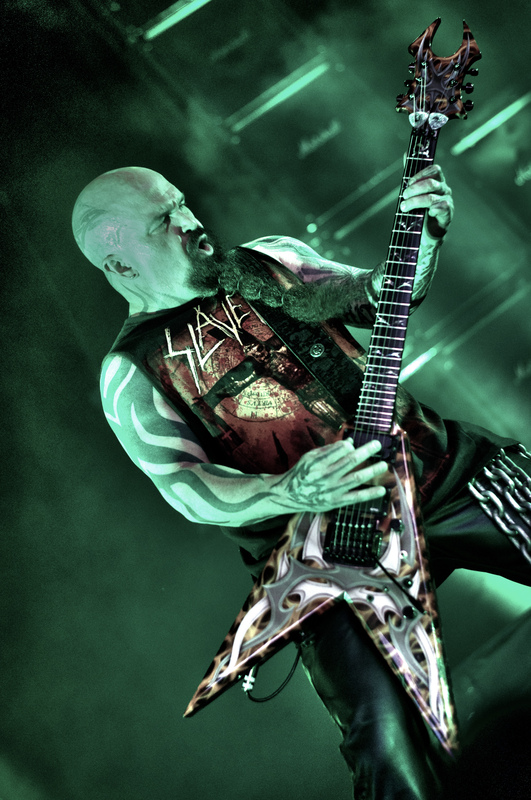 Very limited Slayer onstage + Meet & Greet + exclusive merchandise packages will be available. 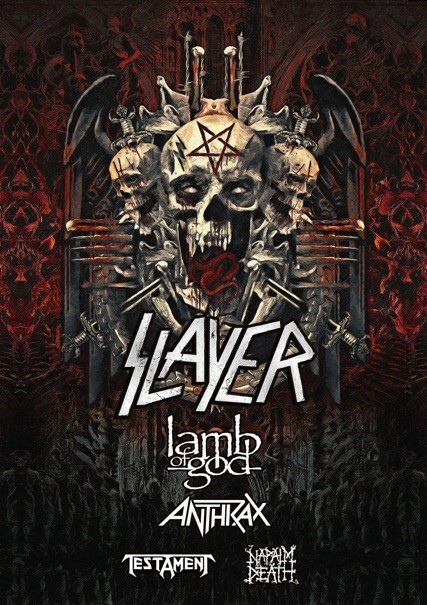 Log on to www.slayer.net for all ticket and package purchasing information. As quickly as these tickets have been selling you had better not wait when general tickets go on sale this Friday. I have a feeling you will regret missing this huge show. 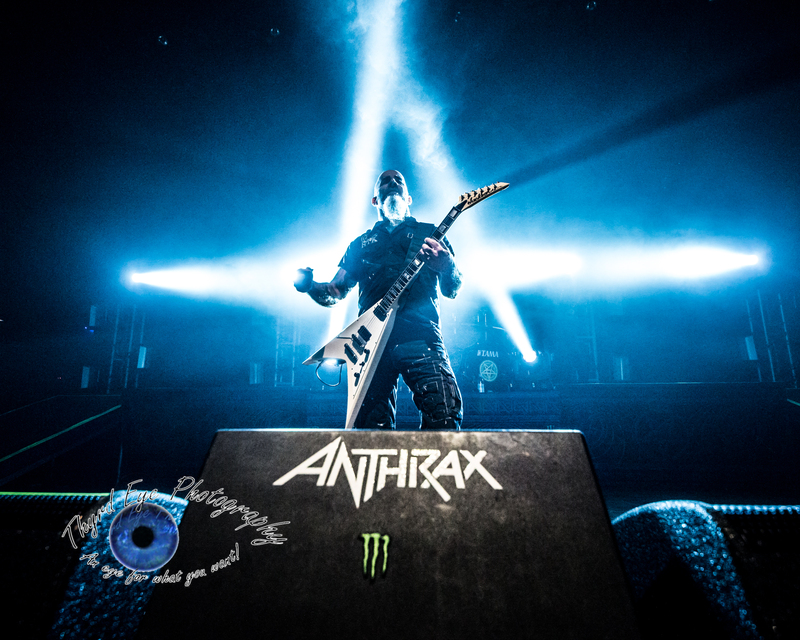 Scott Ian of Anthrax performing in Saint Louis. Anthrax will be supporting Slayer on their final world tour. Photo by Sean Derrick/Thyrd Eye Photography.